Last week went by in a blur! Where has the summer gone? Actually, I've been savouring the summer and finding that it's almost time to pick up the pace again as the new school year approaches. 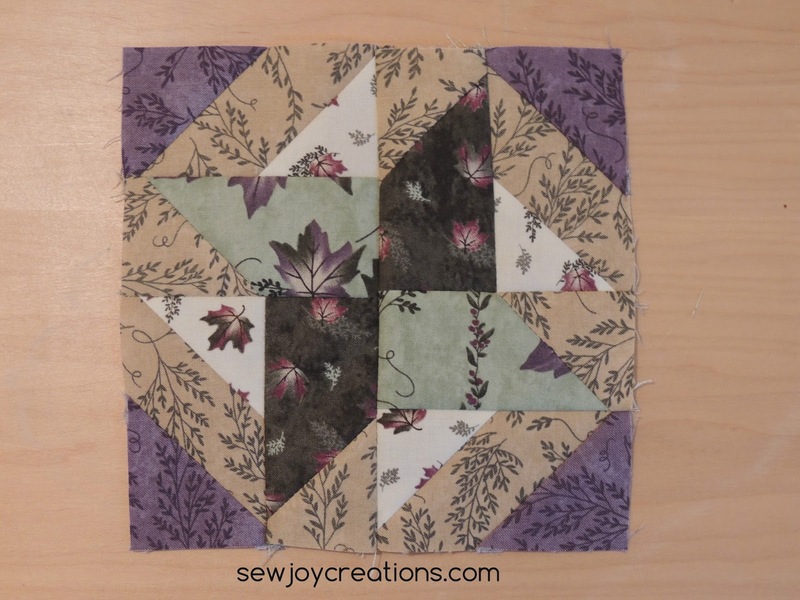 But before that happens I plan to spend a lot of time quilting! I did get to enjoy visiting blogs of several Splendid Sampler block designers last week as the 50th of 100 blocks was released. I took some time to make my block 50 and one more pieced block. Block 46 was fun to do, playing with the lights, darks and medium prints in this line to get some of the swirling effect going. I will spend some more time catching up in another week or so - I have quite a bit of writing and designing to do in the mean time. 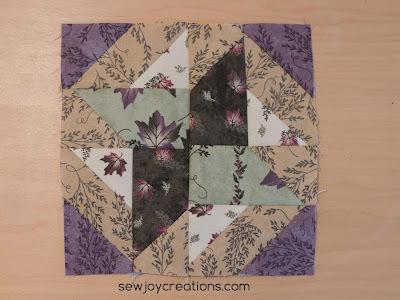 Of course I did take some time to make this month's My Secret Garden block too! I actually wanted to use some of the blue Denyse Schmidt fabric that I'm using as the background in this block for another project so it was the perfect excuse to cut out this block at the same time. 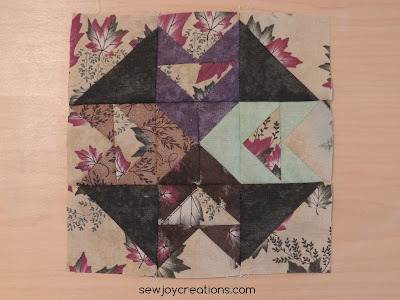 THIS is what I was cutting scraps for - Four Patch-Work by Temecula Quilt Co. I find it irresistible! The pattern is free on their blog until the Olympics are over. 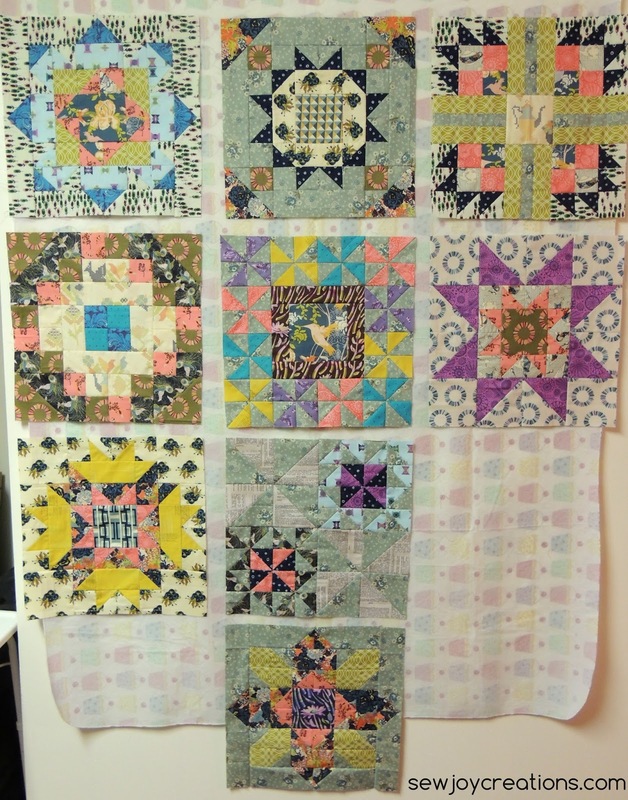 It has been absolutely delightful to cut patches from fabrics I'm using now in various projects as well as from my scrap bin to get this many blocks made. I might get to another post this week with some more progress. 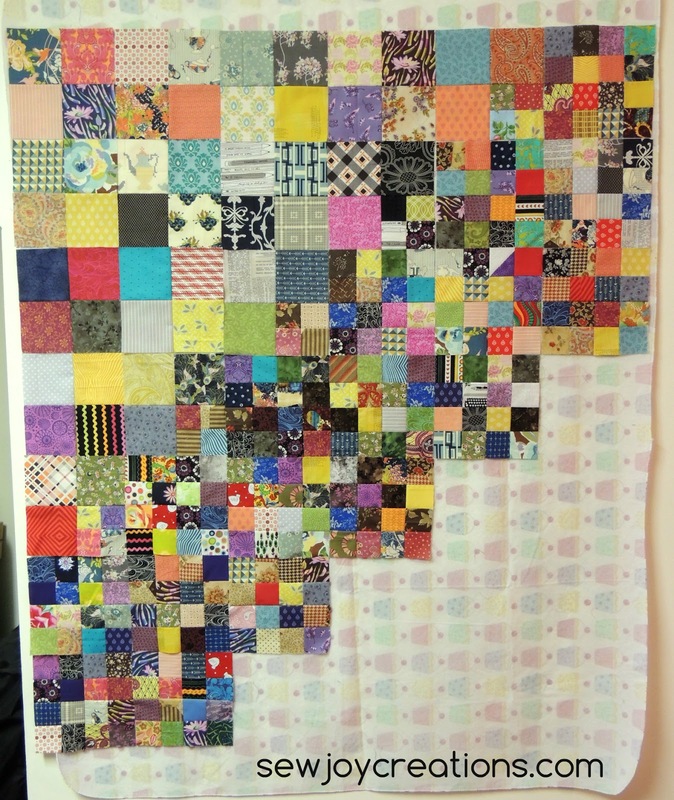 The next step is cutting more than 500 11/2" squares to make into four patches. Did I mention I was busy writing too?! Yes, a new PFAFF machine arrived for me to review! Plus we worked on renovating the bathroom last week and I ended up with this new-to-my-space storage cabinet. This photo shows me trying to get the right light on the sewing machine without any shadows behind it. On the design wall behind it is all the 8" four patches from the Four Patch-Work top. 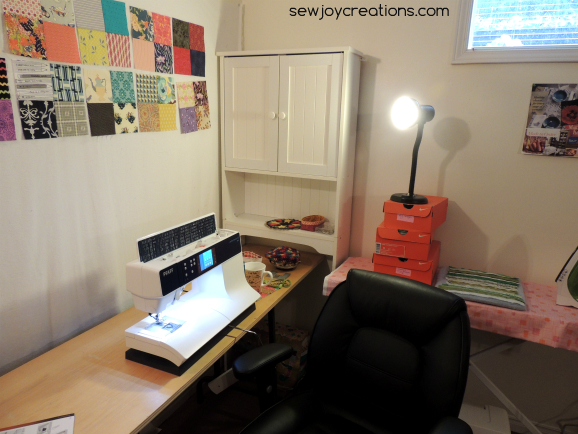 It seems like my sewing space has picked up the pace. 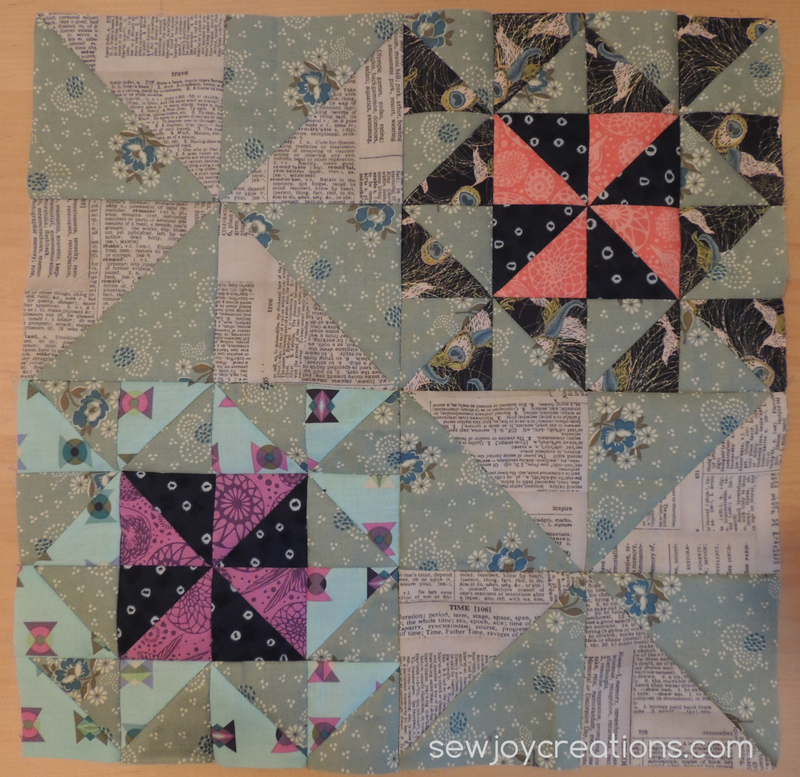 I'll get my writing done so I can get back to quilting - and sharing here! How are you spending the rest of August? Sign up for my newsletter for behind the scenes chitchat and updates on pattern releases. Click here to sign up!